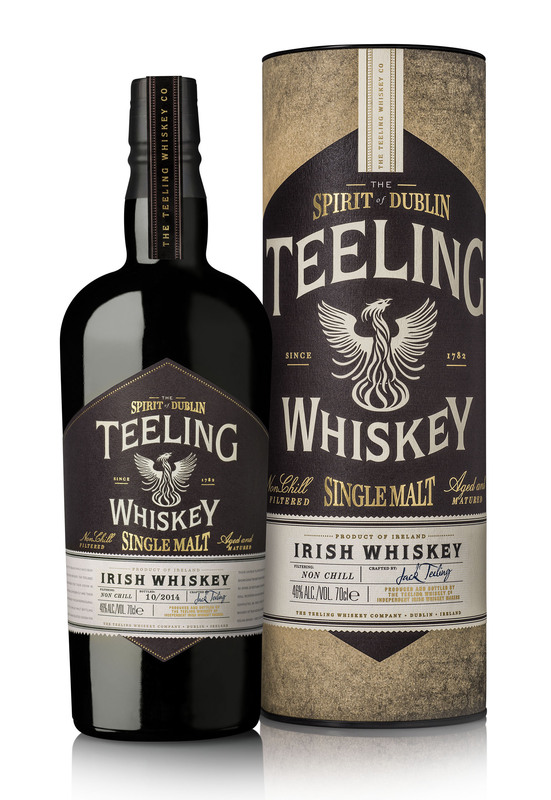 The Teeling Whiskey Company, Ireland’s leading Independent Irish whiskey company, has released a new bottling of Single Malt Irish whiskey, one of only a handful of such expressions in the world. Teeling Single Malt is the third release in the Premium range of Teeling expressions completing their full range of non-aged statement Irish whiskeys. To add a unique depth of character and flavour, Teeling Single Malt consists of aged Malt whiskey up to 23 years old that has been matured in five different wine casks including Sherry, Port, Madeira, White Burgundy and Cabernet Sauvignon. This combination of cask maturation techniques has never been done before in Irish whiskey and creates a truly innovative Irish whiskey bursting with personality. This special combination of casks creates a very distinctive, rich colour while imparting a vibrant and balanced flavour of dry fruits, citrus, vanilla, spice and cloves. The proprietary maturation and vatting technique produces a very special Irish whiskey of distinctive character while still being remarkably easy to drink. Like all the Teeling whiskeys, it is bottled at 46% with no chill filtration allowing for all the natural flavours of the whiskey to be retained. The Teeling family whiskey heritage dates back to distilling in Dublin in 1782 and Walter Teeling, who set up a distillery in Marrowbone Lane in the Liberties. Jack and his brother Stephen, Sales & Marketing Director, are just the latest Generation of Teelings involved in the Irish whiskey industry and have broken ground on their new Dublin distillery in Newmarket, Dublin 8 which is scheduled to come on stream in early 2015.